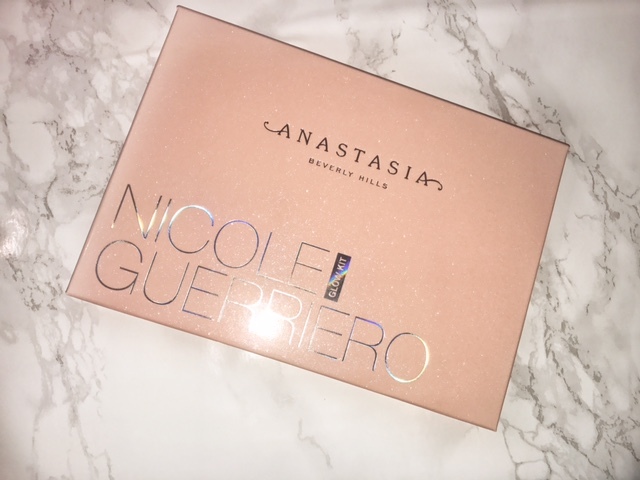 When I first heard about the Anastasia Beverly Hills & Nicole Guerriero collaboration (which is a palette filled with 6 highlighters), I thought “You absolutely deserve this my girl!”. Nicole is someone I have watched on YouTube for around 5 years and witnessed her develop a huge fan base, becoming one of the biggest YouTube beauty gurus of recent times. But I managed to convince myself I didn’t need the palette and had no intention whatsoever of purchasing it. 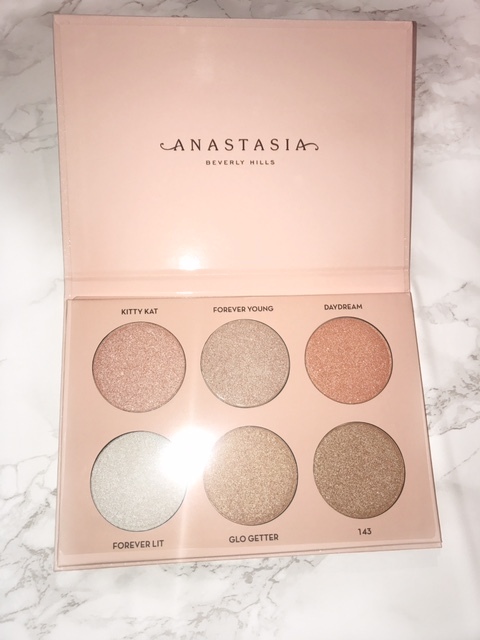 I only currently own the Anastasia Contour palette (and the dipbrow pomade of course!) and it comes complete with a highlighter inside. Recently I have enjoyed the effect of wearing a liquid highlight topped with a subtle powder, like the Becca highlight ontop. Anyway, back to my original point. I was adamant I DID NOT WANT this palette. As the launch date passed and I saw a growing number of swatches of the palette online, my interest in it started to grow. I visited Sephora and applied for a notification when the palette was back in stock. As soon as it hit my inbox, it was ordered and was shipped from America within a week. Okay, first things first. 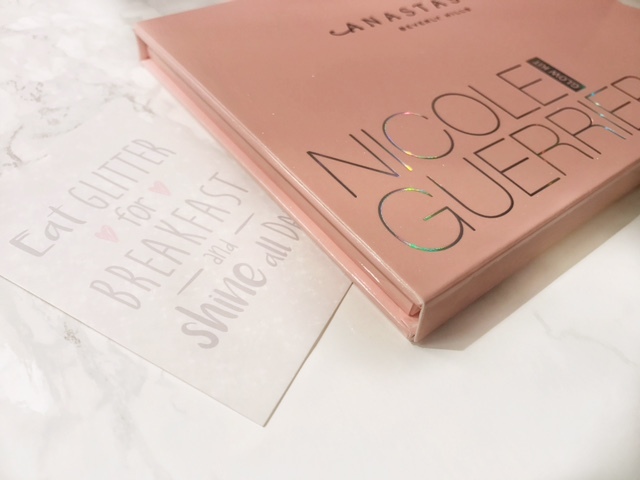 Nicole definitely ensured she got that Instagram worthy packagaing with the sleek, pink outer packaging that is glittery and embellished with her name emblazoned in an iridescent sheen along the top. Beautiful! The palette definitely carries a lot of warm tones, which scared me to begin with but have no fear, it even works with my light/medium complexion. 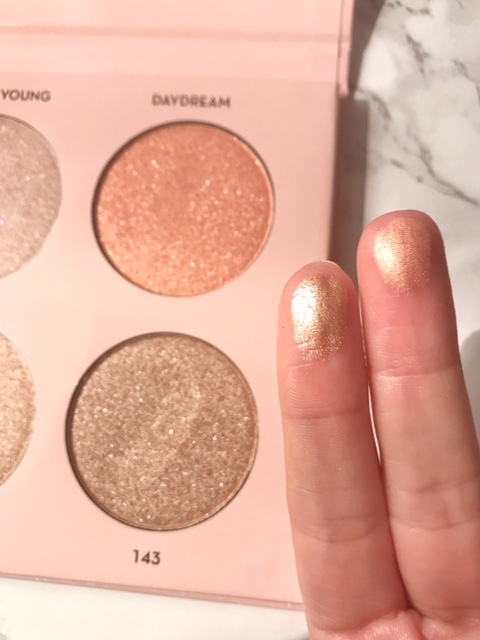 I was impressed with how big the pan sizes are sizing up at 4.5 grams of product per highlighter, meaning it will definitely take some time to hit pan. 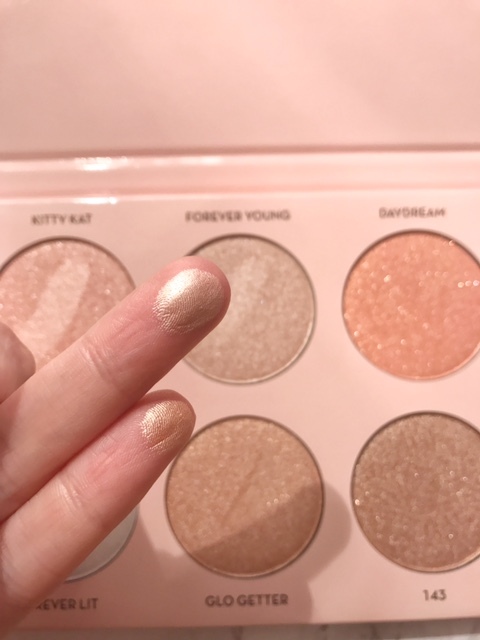 However, it is a shame the pans can’t be taken out of the packaging and replaced, but as it is a limited edition palette I guess it makes sense why that isn’t an option. 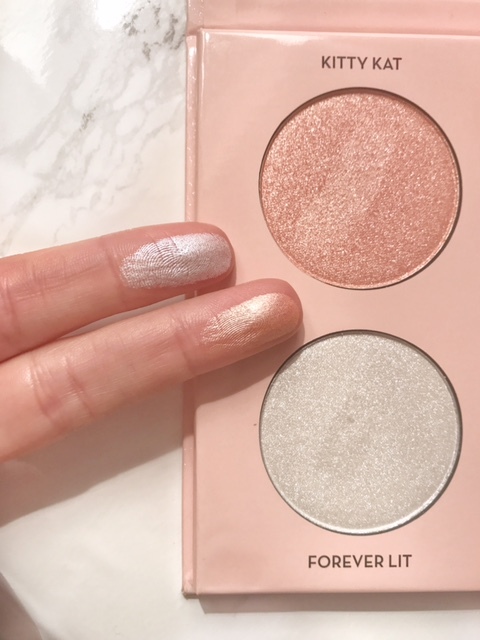 Simply put, this is a beautiful palette that will help me create a gorgeous glow no matter what my makeup look for the day. 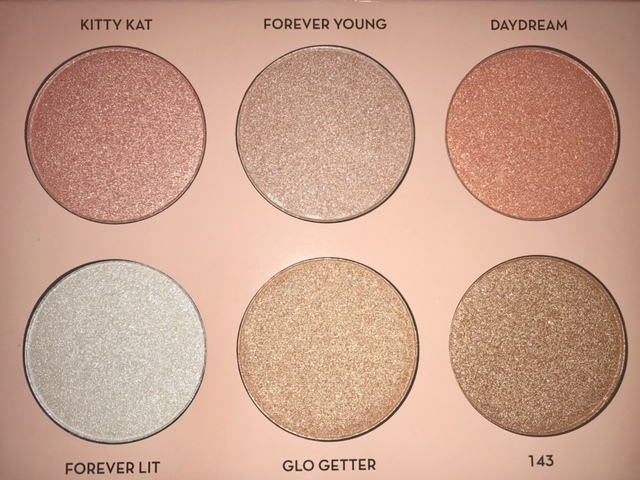 If you are indecisive as to whether to purchase this palette or not I would say "TREAT YO'SELF! ".